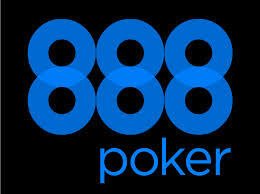 888 Poker’s app is available to users of Android system phones and portable devices only. Users of the software are able to enjoy most of 888′s online functionality, with Hold ‘Em, Omaha and Stud single table tournaments and cash games. Users also have access to the multitude of live event qualifiers which 888 run, including satellites to the WSOP and Aussie Millions. Importantly, the 888 Poker app is designed to ensure easy usability. The action buttons are very large to prevent misclicks on small touchscreen devices, whilst the four colour deck feature prevents misread hands for those with poor eyesight. In order to keep pace with the competition, it is rumoured that 888′s mobile poker app will be upgraded with new features soon. The ability to play multi-table tournaments, or even grind multiple tables is a feature that the team realise is high in demand. Watch this space!